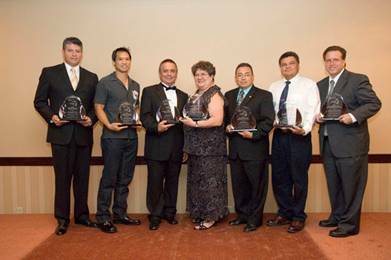 Minority Enterprise Development (MED) week recognizes the achievements of Southern Arizona's minority-owned businesses. We Had Another Great Event! 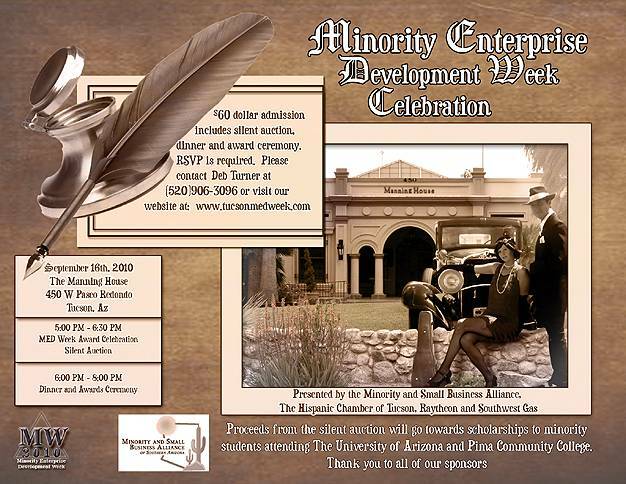 The Minority and Small Business Alliance of Southern Arizona proudly presents Southern Arizona 's Minority Enterprise Development Week Awards Celebration. 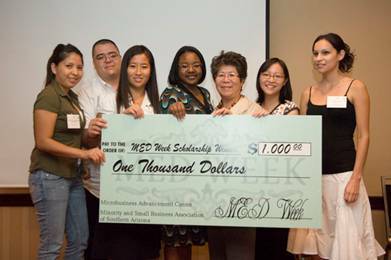 The MED Week event is held in conjunction with the National MED Week celebration that recognizes the accomplishments of minority-owned businesses and their contributions to the economy as a whole. Tucson has been honoring MED Week award recipients for the past 15 years and this years event promises to deliver an even greater celebration. or Contact Deb Turner at (520) 906-3096 to RSVP by phone. . Since 1983, the U.S. President has proclaimed a National Minority Business Enterprises (MBEs) Week observance to recognize the outstanding achievements of MBEs and to honor those corporations and/or financial institutions that support minority business development. In addition, the Minority and Small Business Alliance may award a Minority Business Advocate of the Year Award to a local individual or corporation that strongly supports minority-owned businesses. 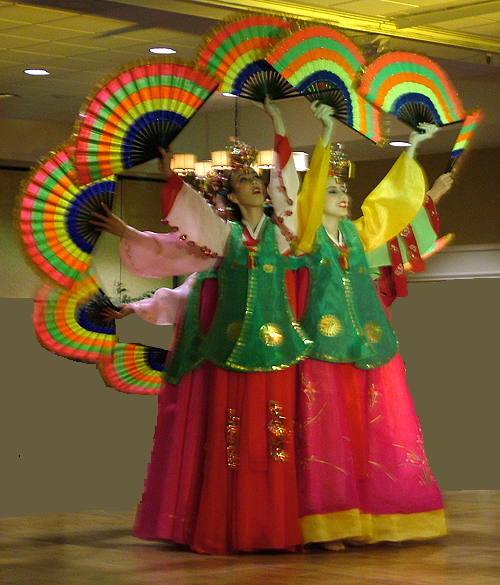 Become A Proud Sponsor – Sponsors are an integral part of this celebration. Sponsors work with, know and understand the value and extraordinary contributions made by minority-owned businesses. Make the pledge to become one of our sponsors as we honor successful business owners who contribute significantly to our nation's economy and local work force. Help Provide Scholarships for Southern Arizona Students. A Silent Auction is held to raise money to provide financial assistance to supplement crucial educational needs for students. It is an ongoing effort to encourage minority and other disadvantaged students to pursue their dreams at the University of Arizona or Pima Community College. Scholarships often make the difference between just keeping up or setting the pace. 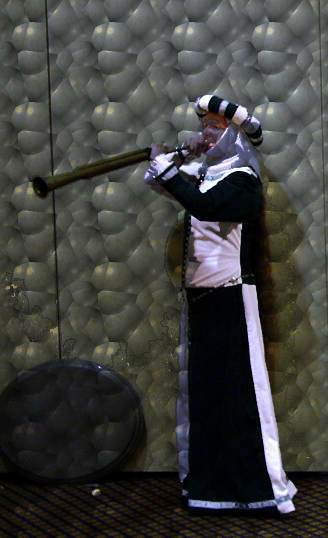 Your support can make a difference in the lives of talented and promising students. Students Apply for a Scholarship.